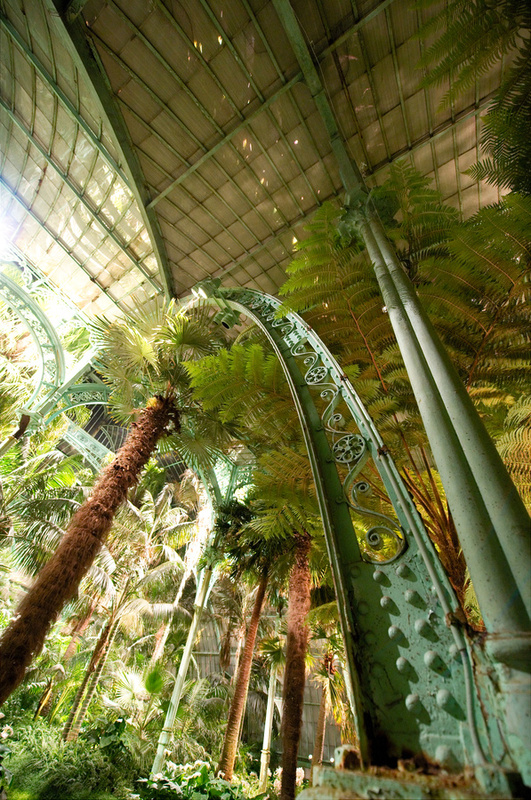 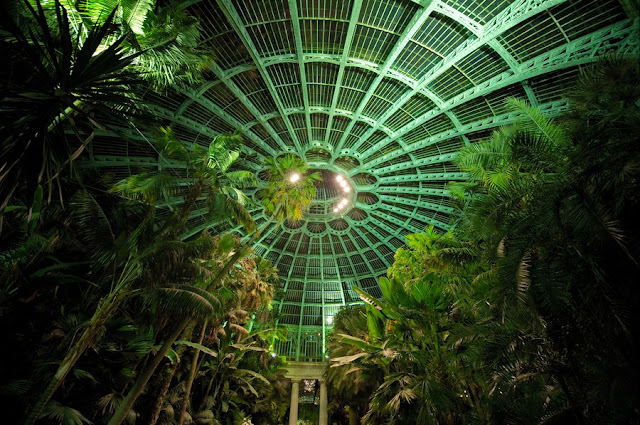 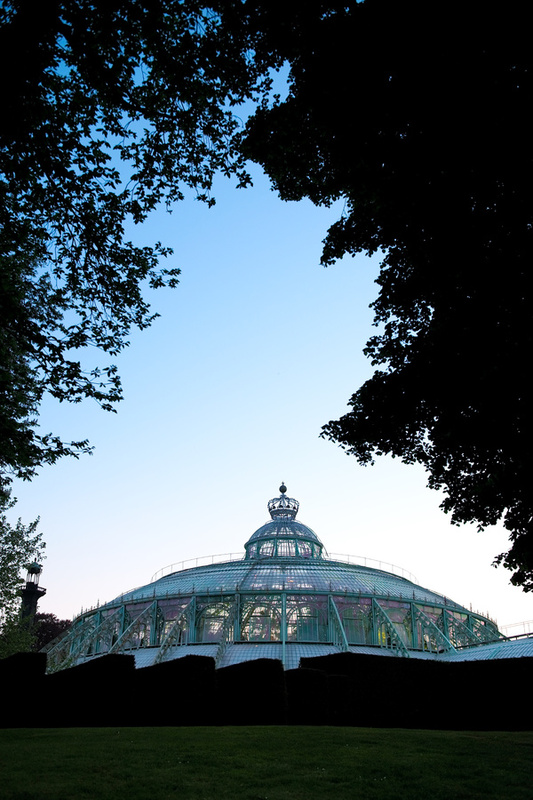 The Royal Greenhouses of Laeken (Dutch: Koninklijke Serres van Laken, French: Serres Royales de Laeken), are a vast complex of monumental heated greenhouses in the park of the Royal Palace of Laeken in the north of Brussels. 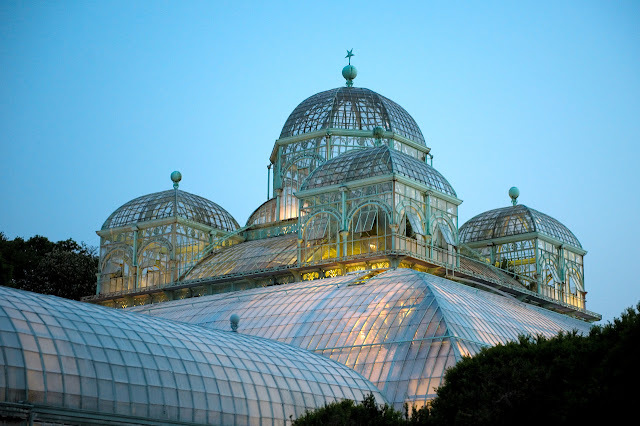 It is one of the major tourist attractions of the city. The complex was commissioned by King Leopold II and designed by Alphonse Balat. 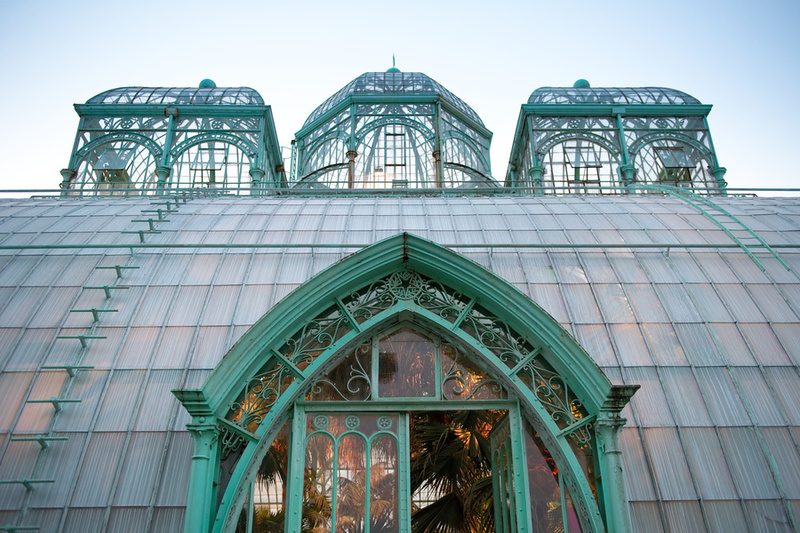 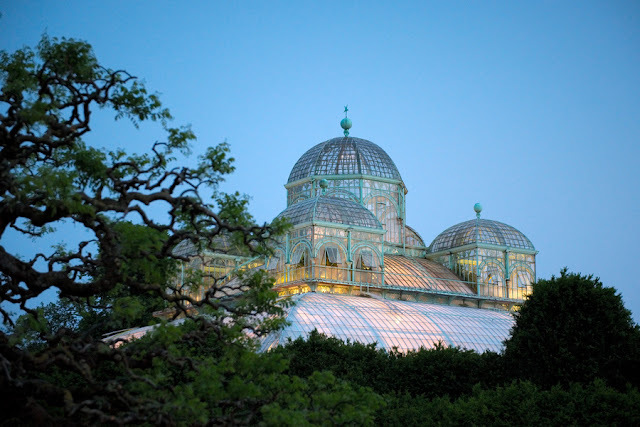 Built between 1874 and 1895, the complex was finished with the completion of the so-called “Iron Church”, a domed greenhouse that would originally serve as the royal chapel. 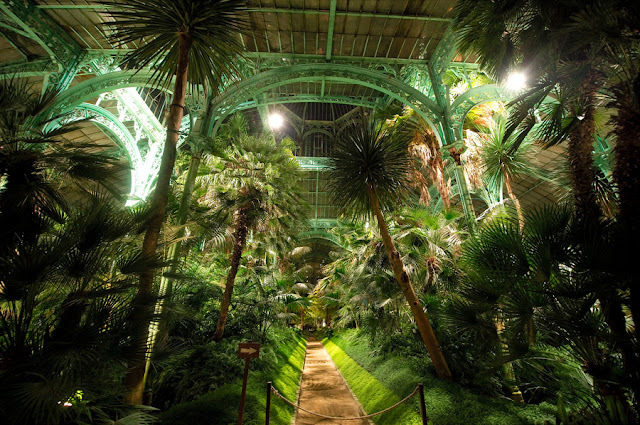 The total floor surface of this immense complex is 2.5 hectares (270,000 square feet). 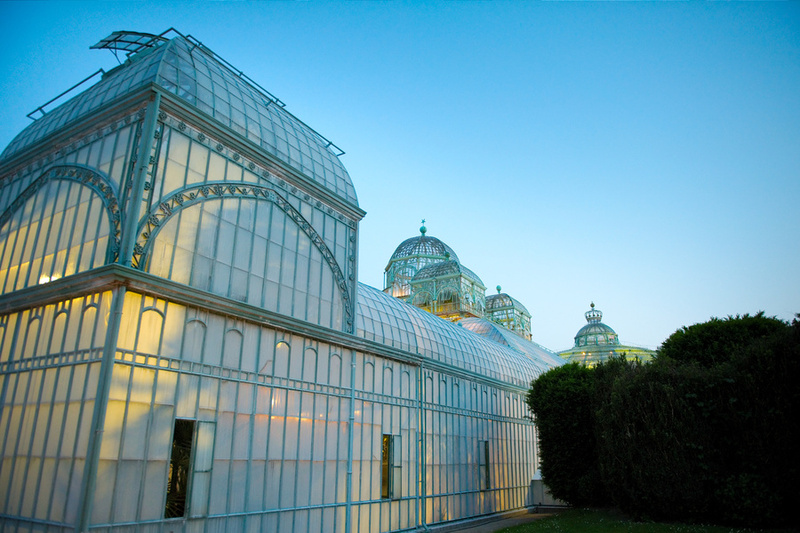 800,000 liters (over 200,000 US gallons) of fuel oil are needed each year to heat the buildings.